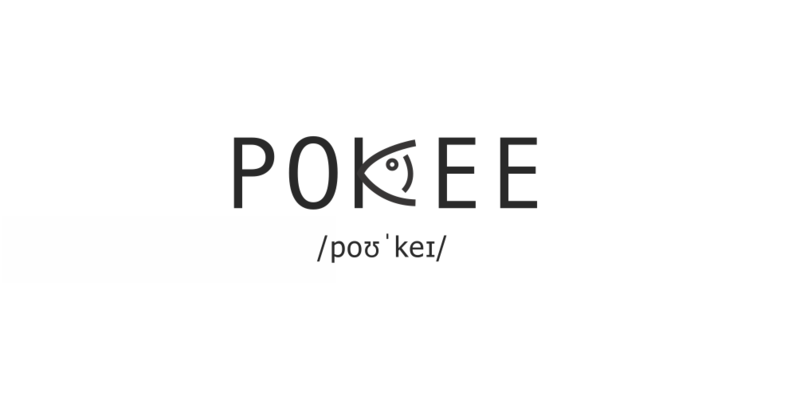 ​Pokee NYC is a lively, ocean-themed fast casual restaurant specializing in poke, a much-loved Hawaiian cuisine that is usually made with marinated raw fish on a bed of rice or greens with various toppings. 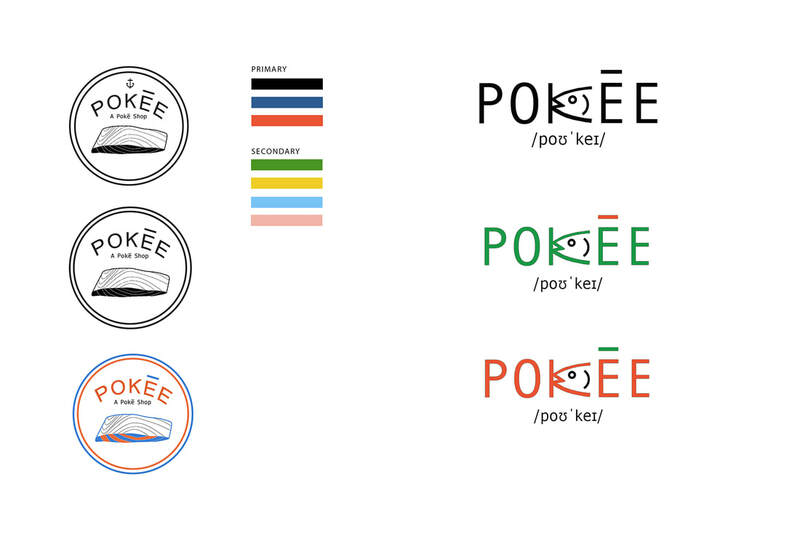 In the beginning, bright Hawaii-inspired colors were considered to be included the design. 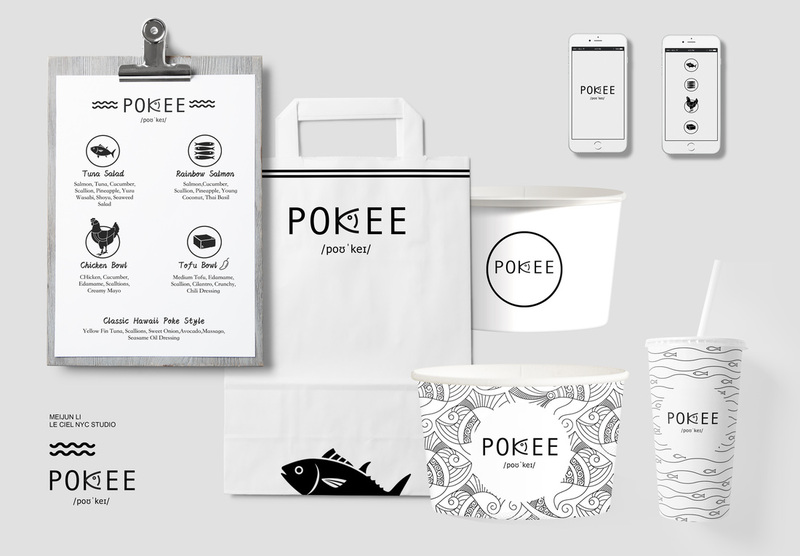 But the final product features a black and white design to emphasize the bright colors of the fish in the bowls. 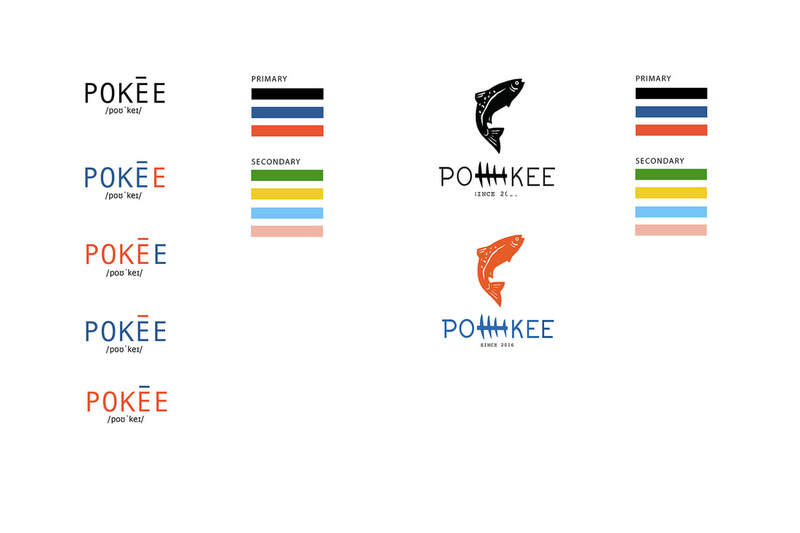 I created repeating patterns that was easily used across all branding platforms.